For a time, it was perceived that the power of the Jasmine Revolutions would somehow find its way to Asia. Unfortunately, this has proven to be more optimism than reality. How is it that the countries in the Middle East and North Africa are able to stage their peaceful revolution while Vietnam and China seem nearly unshaken by this ordeal? 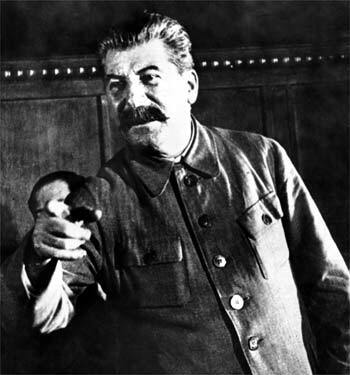 There are several factors that have contributed to the prevalence of the totalitarian regimes. The biggest reasons why the Communists have the upper hand lie in the Communists’ revolutionary expertise, the Confucian orthodoxy of Asian society, and the peoples’ vague knowledge of true democracy. The most obvious obstacle of all stems from the brutality and sophistication of the Communist system. These people have descended from the most brutal of dictators like Mao Zedong, Ho Chi Minh, and Joseph Stalin. Born and bred in the revolutionary arts, they are systematically trained to brainwash, capture, and eliminate anyone or anything that poses a threat to the Party. In a matter of speaking, the Communists have trained their men to think like robots. Obey the government, and nothing else. The massacre at Tiananmen Square in 1989 should show how far the Communists will go to cling to power. They killed their own people, and are prepared to do it again. Another very strong reason why the autocrats have been so strong in Vietnam and China comes from the Confucian aspect of Asian society. The teachings of Confucius always preached the greatness of the emperor and how the people should submit to him, no matter what the cost. And because the people of Vietnam and China followed these teachings more than 2000 years, it is enshrined in both cultures that the government goes unchallenged. The Communist leaders are viewed as the new emperors, and this Confucian aspect of Asian society stands in the way of a true popular uprising in both countries. Lastly, having never experienced the true potential of democracy, the people of Vietnam and China have no clear foundation to establish themselves. It is true that South Vietnam was once democratic, but that generation is slowly withering away. Some intellectuals studying abroad have learned about democracy, but they have been shut out and silenced by the overbearing strength of the Communist system. Furthermore, the northern half of Vietnam has never experienced democracy, and are even less capable of conceptualizing the idea of democracy. They think Communism is all there is, and is what always will be. The brutality and ruthlessness of the Communist system has created a powerful barrier, preventing the people from rising up. The teachings of Confucius, which teaches the people to respect and submit to the emperor, reflected today by the Communist Party, helps blur the fact that these governments are completely incompetent. Finally, even if the people of Vietnam and China were to stage their revolutions successfully, they need to learn more about democracy in order to establish a sustainable foundation. Before these issues get revolved, a popular uprising in Asia is highly unlikely. That being said, nothing is written in stone. Just because the country is faced with these challenges, it doesn’t mean that all hope is lost. The old Communists may have found ways to suppress the population, but that does not mean that these methods will work forever. One courageous act can change the course of history, and in the end, the fate of the country will lie in the hands of the people. The non-intellectuals of Vietnam and China may not know about democracy, but in this age of endless information, this situation can be fixed very quickly. 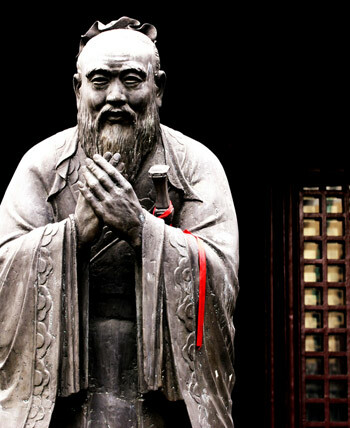 Those who follow the teachings of Confucius should take a second look at the “Mandate of Heaven,” and finally see that the current regime has lost all legitimacy, and that it is time for a change. To the people of Asia, to the people of the world, press on. Never give up. Hey there dear readers, this blog has taken a hit in the past few weeks. So many things have been going on, making it difficult to put out new blog posts. I thought that the worst of it is over, but surprise! There is still so much going on, making it hard to stay focused. Well, life is full of surprises, and that is something that will never change. Thus, I will continue to blog and try my best to keep you updated and entertained in the days to come. 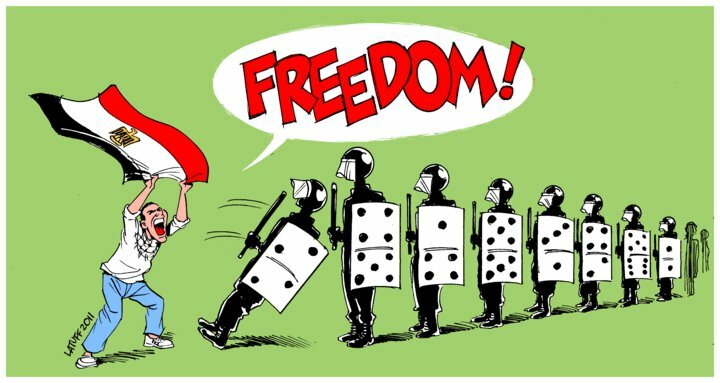 This is a political cartoon that is proving to be true in the Middle East and North Africa, with the potential to spread even to the countries of Asia. However, it is unfortunate that the momentum has lost its steam along these lines, for the Communists have carefully prepared for the coming wave. China and Vietnam have been successful in preventing the Jasmine Revolution from hitting their respective frontiers, blocking the flow information and bitterly smashing any signs of dissent from the population. Even so, I am optimistic that the change sweep across Asia as it is doing in the Middle East. The difference here is that the Communist system has established a monopoly in every aspect of the country, so it is without a doubt that any challenge to this extreme totalitarian regime will take much longer t0 develop. That being said, the days of the Communists are numbered. This is especially true in Vietnam’s case. The countless betrayals of the Vietnamese Communist Party continues to erode their legitimacy, making them weaker than their counterparts in China. The stupid governing of the Vietnamese Communist Party is slowly pushing their people to the breaking point, and ever closer to a real revolution. The same can be said in China, though they are in a more advantageous position over their own people than the Vietnamese Communists. So for these reasons, the amazing accomplishments that have created a domino effect in the Middle East and North Africa has much potential in reaching Asia. But because the Communists have such a tight grip on the people, it will take longer for the movements to cultivate. Even so, the people of Asia want democracy. Vietnam, China, Burma, and all the other dictatorships are fighting for their very existence, and even one spark can change the course of history. Let’s fight for it together. Editor’s Note: One year and one day ago, March 26, 2010, Freedom For Vietnam was established. It is amazing how many readers have found their way here in such a short amount of time. Thank you for visiting, and we hope that you all continue to enjoy what we have to give. Cheers! Here’s the latest case of historical desecration by the Vietnamese Communists with advice from foreigners. A new historical novel, supposedly based on the lives of Le Loi and Nguyen Trai, was recently published in Vietnam. The book aims to chronicle the events transpiring between the heroic duo as they take on the Ming invaders in the 15th century. Unfortunately, the accuracy of the novel’s events are somewhat questionable. Actually, it’s complete garbage, just to let you know. The author of this novel, Nguyen Quang Than, completely disrespects the characters of Le Loi and Nguyen Trai, characterizing them as bandits, thugs, and gangsters. At the same time, he portrays the Ming army as heroic individuals, coming into the country to help and care for the Vietnamese people. The invaders are shown to be virtuous, honourable, civilized, and caring. So according to this “author,” Le Loi and Nguyen Trai are the villains, while the Ming invaders are the heroes. Signs of outrage have been visible within the Vietnamese literary community. Many writers and bloggers in Vietnam have criticized the author of this book, making their opinions known. What’s the Vietnamese government response to all this? Unsurprisingly, they’ve decided to go against the writers in Vietnam in defence of the author of the book. They’ve issued a warning, threatening to punish anyone who further criticizes the author Nguyen Quang Than and the Vietnamese government. Why would they do this? Why would any government ever allow anyone to damage the sacred historical protectors of their country? Let us recall a similar incident, only several months ago, recall the movie Ly Cong Uan: the Road to Thang Long Citadel. The Chinese government tried to distort the history of Emperor Ly Thai To, making him look like a Chinese man, an act permitted by the Vietnamese Communist Party, remember that? It’s happening again, and guess what, they’re letting it happen again. Judging by the evidence, one can argue that the Chinese Communist Party has something to do with the creation of this book. Who else would come up with the idea of destroying the memory of two of Vietnam’s proudest figures? The story of Ly Cong Uan was indisputably the plan of the CCP, and it is a fair bet they are involved with this as well. It’s not hard to find traitors in the Vietnamese Communist system, almost everyone at the height of the Politburo is a corrupted sell-out anyway. It is easy for the Chinese government to infiltrate the Vietnamese Party, all they have to do is show the money. The CCP has succeeded in finding traitors despicable enough to desecrate the memory of their own ancestors, and they are exploiting these mutinous dogs to the fullest extent. Vietnam’s Communist government is full of cowards, traitors, and slaves, that is why they need to be punished by the true people of Vietnam. 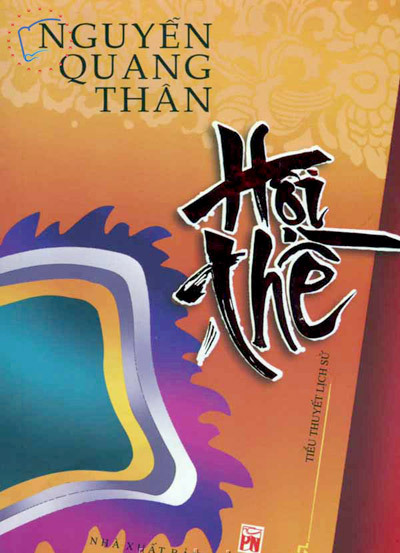 The title of the novel is Hoi The (The Gathering of Oaths). If you have the time, look it up. 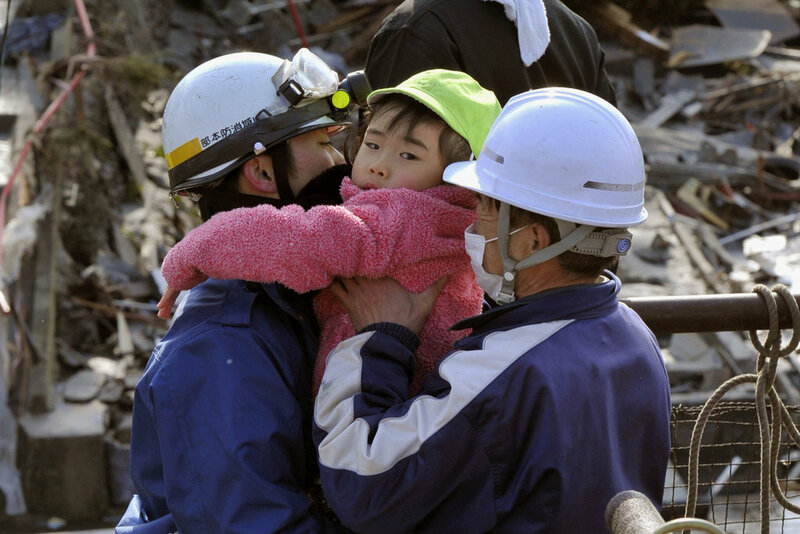 By now, most of us have heard about the catastrophe that has taken place in Japan in the past day. 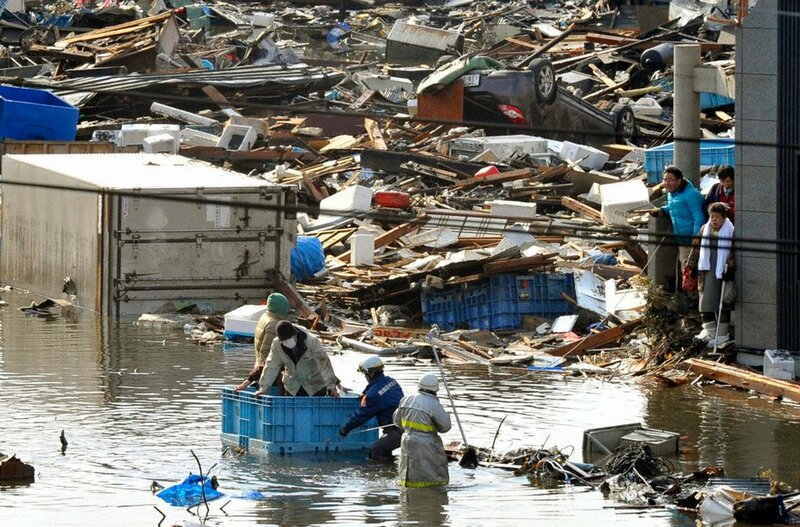 Just a day after a major earthquake had devastated many Japanese cities, a massive Tsunami struck, destroying thousands upon thousands of houses, stores, factories, and everything else in its path. Many people are stranded in areas like flooded homes and schools, while many others are waiting to be rescued from various locations spread through the rubble and debris. Currently, the number of civilian deaths is believed to be around 1000, though that number will probably change as relief teams continue their search and rescue mission. The earthquake in Japan happened on friday afternoon, the Tsunami occurred shortly after. The magnitude of the earthquake was 8.9, the strongest to ever take place in the history of Japan. As a result of these disastrous events, thousands of homes are destroyed and many lives are lost. The Japanese government is trying everything they can to bring the survivors to safety, the rest of the world should participate as well. Our thoughts go out to the Japanese people, and anyone who is at risk in Japan right now. We must mourn for those who have lost their loved ones, pray that all the survivors return safely, and send our best wishes for anyone and everyone involved in this catastrophe. One love. When speaking of the current Afghan War, many keep on drawing comparisons between this current mission and the Vietnam War in the 1960’s. Comparisons between President Karzai and President Diem, how the Americans have entered a war that can’t be won, and the Afghan training program in parallel to the Vietnamization programs in the past. It is true, there are some similarities between Vietnam and Afghanistan, but despite these similarities, the evidence will soon show that the reasons for American involvement in these wars are very much different form each other. Furthermore, I also believe that because of these reasons, the outcome of America’s mission in Afghanistan will be much different as well. First of all, the American involvement in Afghanistan is arguably much more justified than their intervention in Vietnam 40 years ago. Ho Chi Minh and the Communists never attacked America on their own soil as Osama Bin Laden and Al Qaeda had done on September 11, 2001. Therefore, it cannot be reasoned that the U.S. mission in Afghanistan is that much like the war in Vietnam. When Bin Laden devastated the World Trade Centre, killing thousands of innocent Americans, he declared war on the U.S.A. In contrast, the North Vietnamese never declared war the the United States, so the initial catalysts of the respective wars are not the same. What took place in Vietnam was a domestic affair, a civil war that America had no reason to involve themselves in the first place. The Afghan War may also be a civil war, but the terrorist organizations of Al Qaeda and the Taliban are also targeting U.S. citizens. They commit atrocious acts, not just on the Afghan people alone, but on the American people as well. The Vietcong were a threat to the people of South Vietnam and the continent of Asia, but they never posed such a threat to the United States. 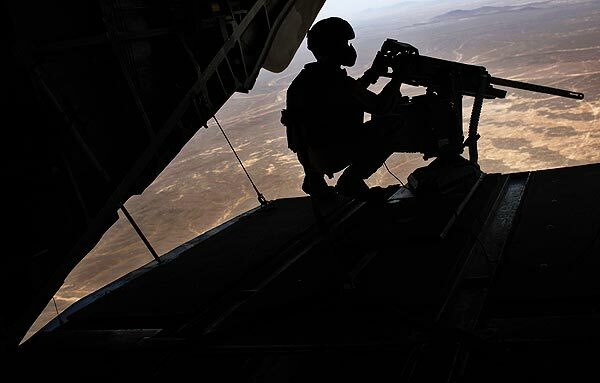 In fighting alongside the Afghan forces, the U.S. is containing the Taliban, successfully preventing them from gaining ground in the Middle East. 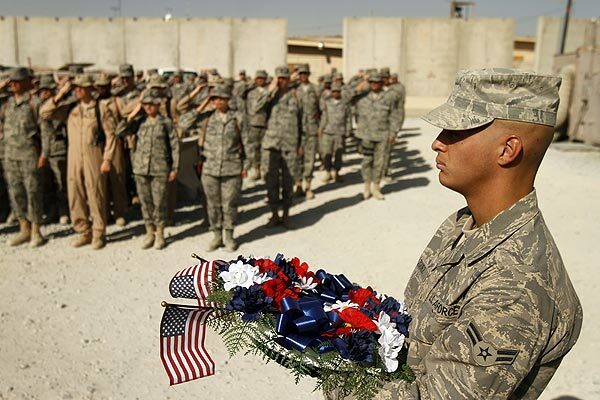 It’s been ten years in Afghanistan and the U.S. has lost nearly 1,500 soldiers. In the same timespan that the U.S. spent in Vietnam, over 58,000 American lives were lost. These numbers indicate that the Vietnam War was much more costly than the current Afghan War. Not only that, the United States is actually fighting for a relevant cause in this Afghan mission: confronting and neutralizing the terrorist threats of Al Qaeda and the Taliban. The American presence in Afghanistan helps keep the Taliban at bay, helping to maintain stability in the cities. If the U.S. stayed out of Vietnam in 1963, the consequences would have been much less costly to the American people. The same can’t be said today, for if the U.S. stayed out of Afghanistan, the Taliban would cause much suffering to the Afghan people, and Al Qaeda would cause much more damage to the U.S. national security. 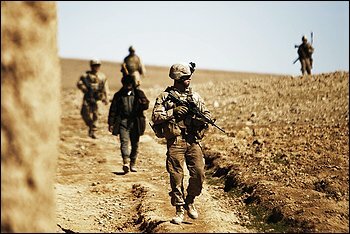 Furthermore, the U.S. are supported by many coalition forces in Afghanistan, including Canada, Britain, Germany, etc., because the reasons for involvement are important to the safety of the world. The global community may not agree on all aspects of the Afghan War, but it is safe to say that they’ve reached a consensus in dealing with Osama Bin Laden and Al Qaeda. The world never supported the American involvement in Vietnam. It was a mistake of the U.S. in believing that they can intervene in the affairs of a distant country that has no connection to their own. They were afraid of the “domino effect,” and the spread of the Communist wave, an idea that proved to be false. Things are much different in this Afghan mission. American involvement in Afghanistan is more widely supported by the world community. The Afghan forces keep the Taliban at bay, and the only supporters of these terrorists forces are minorities from the countryside, and the sellers of narcotics. That is why I disregard the notion that Afghanistan will be just another Vietnam. I believe that the U.S. is doing the right thing, and that in time, the Afghan people will prevail over the Taliban and Al Qaeda. Here is a great political cartoon that pretty much speaks for itself. It all started with Tunisia, then it spread to Egypt, and now Libya. Needless to say that the Jasmine Revolution in Tunisia was a catalyst, sparking numerous uprisings across North Africa and the Middle East. These uprisings are fought in the name of freedom and democracy, a big blow to dictatorships everywhere. This democratic movement has gained tremendous momentum, affecting not only the Middle East, but potentially reaching Asia as well. It is now common knowledge that the rulers China and Vietnam, the last of the Communist dictatorships, are terrified of what this could mean for their one-party rule. That is why they are sinking all their resources into preventing their people from becoming aware of the events spreading across the Middle East. Even so, anonymous democratic organizers are calling upon the people of China to come together and fight the oppressive rule of the Chinese Communist Party. In Vietnam, the police are preparing for the coming conflict against the Vietnamese population who are ready to fight for their rights and freedoms. It started in Tunisia, but has swept passed Egypt into Libya, and is now seeping into the tightly controlled totalitarian countries of Vietnam and China. It is a ticking time bomb, one that these Asian dictatorships are desperately trying to prevent. 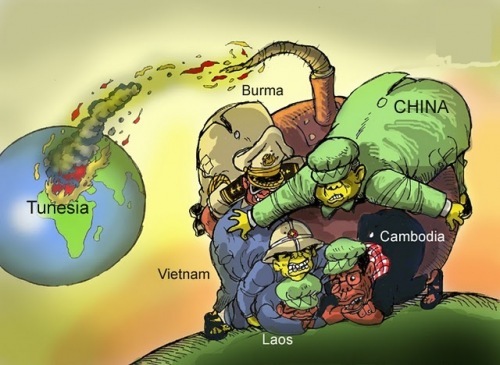 This cartoon suggests that the revolutions will not only hit Vietnam and China, but will wash away the oppressive regimes in Laos, Cambodia, and Myanmar (Burma) as well. The governments of all these nations are doing everything they can to keep the Jasmine Revolution from coming to them. They are scared out of their minds as they witness the fall of their counterparts in distant countries. Now they must come to terms with the very real possibility of being toppled by their people. The time is right for the citizens to overthrow these oppressors and bring the world ever closer to a period of peace and cooperation. We must send our best wishes to all the people in this struggle. 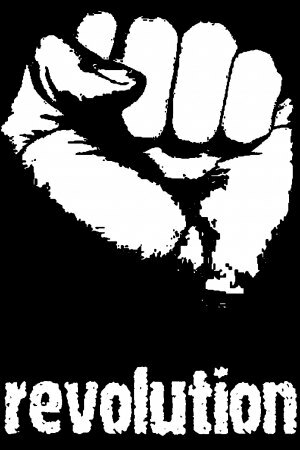 Support the revolution! 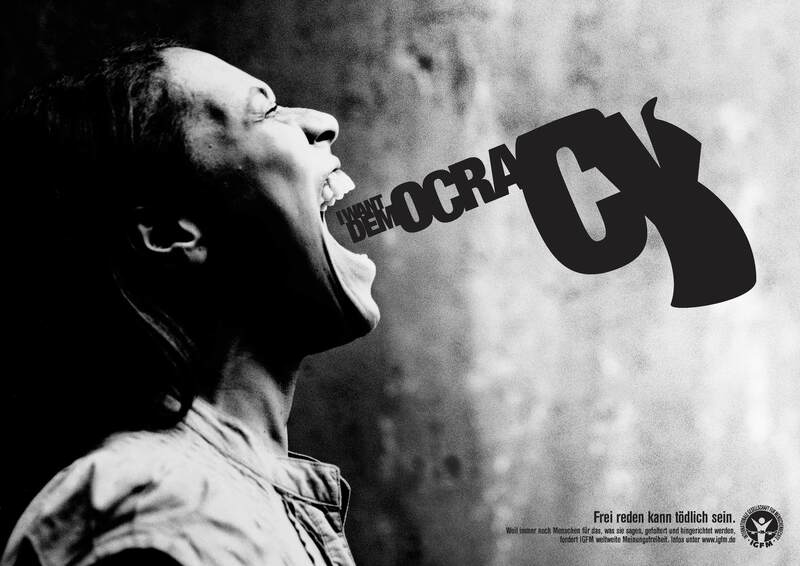 Freedom and democracy now!